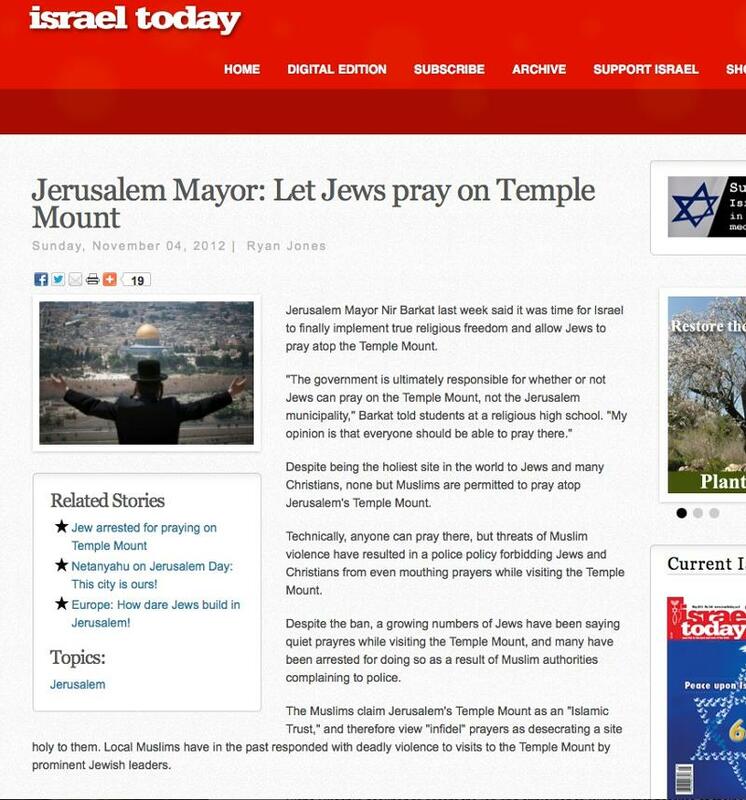 Jews Want to Pray on the Temple Mount! One of the key latter-day Bible prophecies is that, according to Dan 9:24-27, there will come a day when the Jews will go back to sacrificing on the Temple Mount on Mt. Moriah. This ancient Daniel prophecy tells us that the Anti-Christ will stop sacrifices at the mid-point of the seven year Tribulation, therefore sometime prior to that they must begin sacrificing. To begin sacrifices, it is assumed the Jews must rebuild their Jewish Temple. To rebuild the Temple they must know where on Mt. Moriah to rebuild. The Dome of the Rock is assumed by many to be built on the spot of the Jewish Temple and therefore be standing in the way of any new Jewish Temple construction. The Two Witnesses, Rev 11, show up just after the Rapture and show the Jews where to rebuild. The Bible says they even allow for other Gentile (non-Jewish) buildings in the area, so the Dome may not be a problem where it’s presently located. As you can see from the photo to the left, there is plenty of room on the Temple Mount to build a Jewish Temple so the Jews can again begin sacrificing. When we travel to Israel and visit the Temple Mount, we see Israeli soldiers in full uniform stationed all over the area. 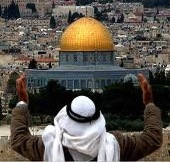 Israel captured the Temple Mt in 1967 and since then has been controlled by Israel. Israel allows the Muslims to administer the worship on the Temple Mount. And the Muslims don’t allow non-Muslims to pray on the Temple Mount. David originally purchased the area and put the Tabernacle there until the first Jewish Temple was built by Solomon. The Temple was destroyed by Babylon and after 70 years of captivity in Babylon, the Jews returned to Jerusalem and rebuilt the Temple. It was destroyed again in 70 AD and never rebuilt. If we’re getting close to Rapture, then we would expect to see interest by the Jews in rebuilding their Temple. And this is exactly what we see today. An article in the Jewish newspaper ISRAEL TODAY laments the problems associated with Jews not being able to pray on the only spot God allows for sacrifices. They make the case it’s the holiest spot on the earth for Jews and they should be allowed to pray there. At the moment, the closest Jews can get to their holy site is the Wailing Wall. They “wail” because they can’t sacrifice. And the Bible says their “wail” will continue to grow louder until they are allowed to rebuild their Temple and go back to sacrifices.